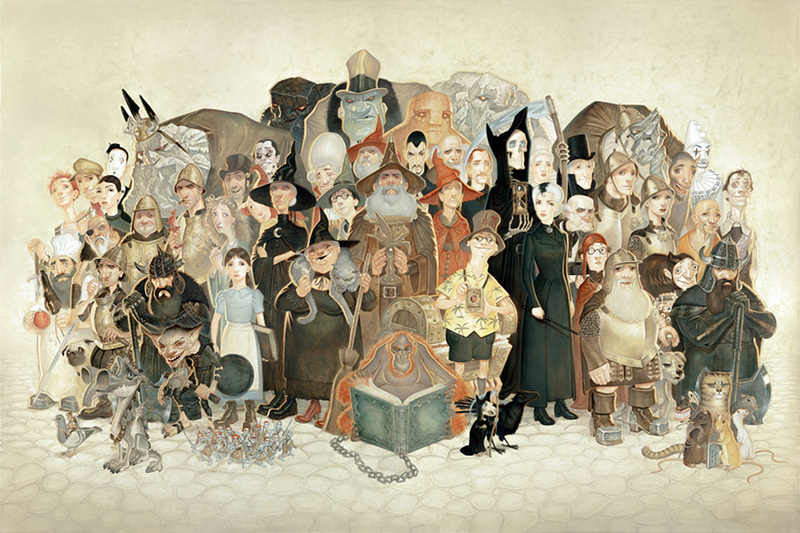 I started reading Terry Pratchett when I was about twelve years old; I think I’d finished most of his enormous Discworld series by the time I was fourteen or fifteen. Two months ago, after coping with early-onset Alzheimer’s disease for several years, Pratchett passed away at the age of 66 – far, far too young for one of the greatest writers of our time. I wrote a short piece after his death about how much his books influenced me, both as a writer and a person: how much they shaped my understanding of human nature, of how people work, of how society ticks along. The Discworld books were fundamentally a humorous fantasy series, but they were really so much more than that – smart, funny satires about every element of human behaviour, and all the ridiculous orthodoxies and contradictions that make up society. I’ve been meaning to reread the Discworld series for a long time, and with Pratchett having passed away now seems like an appropriate time to do it. I’ll begin with The Colour of Magic, and keep this post up as a running index. 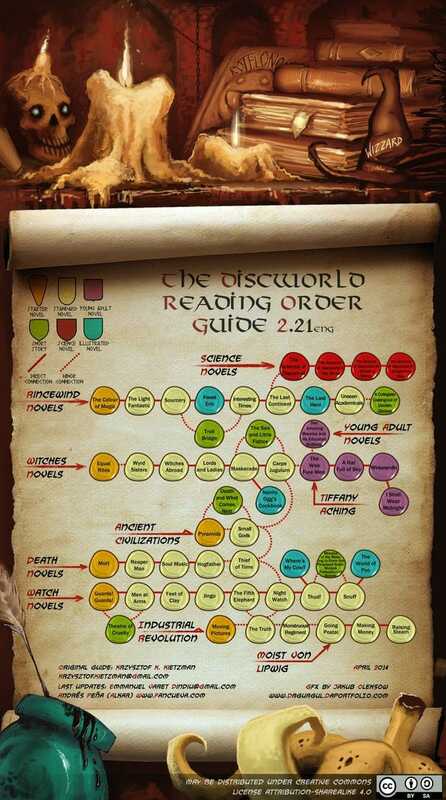 Part of the trouble with the Discworld series, for the uninitiated, is that it’s sort of complicated to figure out where to start. I’ll be discussing that as I go along – it’s partly a matter of opinion – but meanwhile, if you’re thinking of trying the series for the first time, this diagram is very helpful.